Denver CO–Morgan Adams Foundation co-founder Joan Slaughter joins us to share this organization’s 20 year history of advancing the clinical trial process for pediatric cancer in the medical research system. 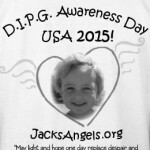 Her daughter Morgan had been diagnosed at 5 years old with GBM in 1997, surviving 11 months past the diagnosis before succumbing to the deadly disease. The Morgan Adams Foundation funds research critical to progress in pediatric neuro-oncology, one of the scientific world’s most challenging frontiers. 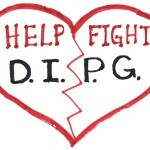 Partnering organization Cops Fighting Cancer, founded and led by Officer James Seneca, AML survivor, of the Aurora P.D. in Colorado, worked with the Colorado legislature to create a childhood cancer license plate to support the research of Morgan Adams Foundation and the family support which Cops Fighting Cancer provides. This organization, founded in 2002, has grown into a large coalition of Colorado Police Departments raising funds for kids with cancer and their families, and creating events to bring smiles, laughter, and leadership for the kids, their favorite heroes. 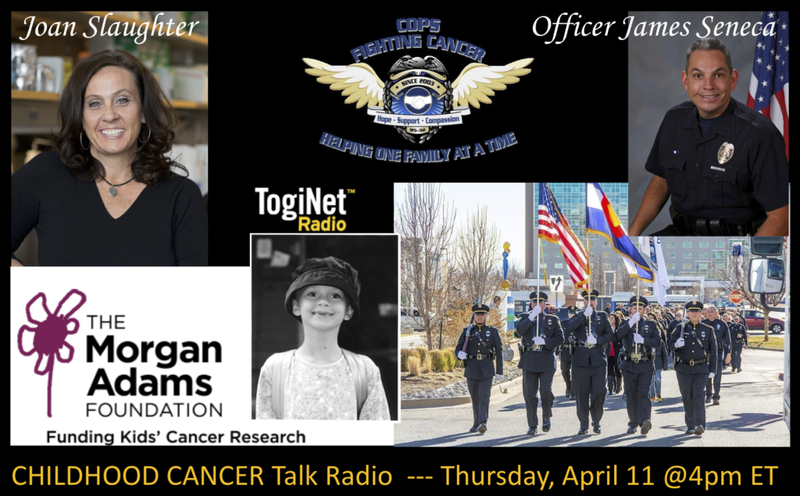 brain cancer, childhood cancer, Colorado, Colorado legislature, Cops Fighting Cancer, GBM, Joan Slaughter, Morgan Adams Foundation, Officer James Seneca. Bookmark.